New study questions the value of universal pre-K. Tell that to working mothers. Tell that to working mothers. Universal pre-K would save working parents a bundle. Does universal preschool—a policy backed by the president and all of the Democrats jockeying to take his place—have a research problem? Yes—but only if you ignore an entire demographic that would benefit from universal pre-K. This week, a new paper came out from three researchers who conducted a well-designed look at Tennessee’s preschool program. It concluded that while children who were in preschool were better off than their peers when they entered kindergarten, the boost began to dissipate and then even turned into a negative effect by the end of second grade. It came out on the heels of another study of a universal program in Quebec, which found the Quebecois children in the program fared worse than children in other Canadian provinces on some social indicators. 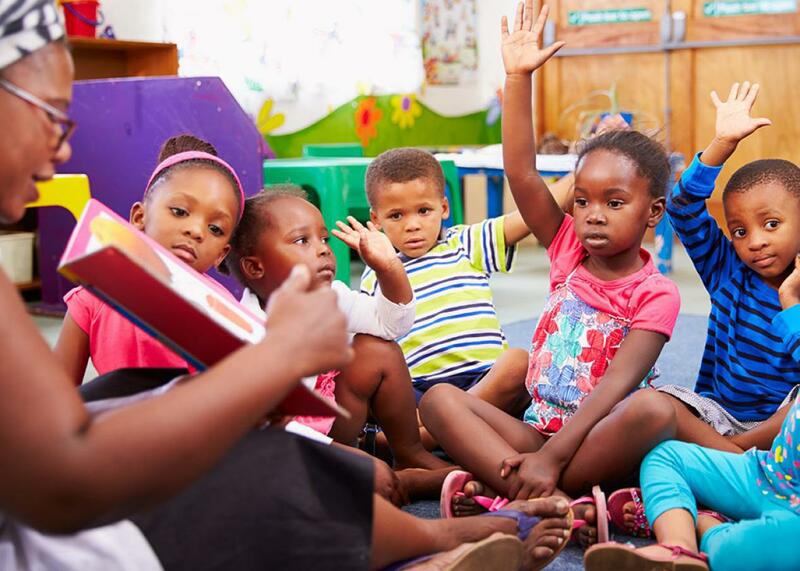 The evidence may be mixed, then, on how preschool impacts children, although it likely also depends on the quality of the program and how far out you measure the results (and what you measure). Other studies have found long-term gains. What is not mixed is what universal, affordable preschool offers working parents. Another name for preschool for 3- and 4-year-olds is, of course, child care. And child care is a huge problem in the U.S. It often costs more than what a family spends on rent or food—even more than what it costs to send a child to a public college. The price tag for what the average family shells out has risen more than 70 percent since the mid-1980s. And that’s if you are able to find a spot somewhere nearby that you trust. Yet families desperately need it. The model of a family where all parents work has become the norm: Both parents work in 60 percent of married couples with children, while nearly 70 percent of single mothers and more than 80 percent of single fathers are employed. Where do young children go when parents go to work? Less than a quarter end up in a preschool, day care center, or other official facility. The rest are left with relatives, in someone’s home, or different arrangements day to day. That kind of uncertain situation wreaks havoc on parents’ lives, not to mention the additional stress they take on if they can’t be assured their children are in a safe environment. Working parents miss nine days of work a year, on average, thanks to a lack of consistent child care. Parents with good arrangements, on the other hand, fare much better, particularly mothers, given that they are still much more likely to have care responsibilities impinge on their careers. Mothers with steady child care are twice as likely to stay in their jobs. The one time the United States actually had universal child care—yes, that happened—during World War II, mothers who took advantage of the program were more likely to be employed, so much that each additional dollar spent on it increased their employment rate by 0.1 percentage points. It also, incidentally, helped their children by reducing their high school dropout rate, increasing their rate of completing a college degree, increasing how many ended up in full-time work, and increasing their earnings. The same thing could happen again today. One study estimated that if early childhood education were fully funded by the government for all children, mothers’ employment would increase by 10 percent. In the meantime, the fact that we spend so little on preschool compared to other developed peers is one reason that we’re getting outpaced in how many women are in the workforce. Child care is an obstacle that still blocks many mothers who would otherwise like to work. Yet when universal preschool is discussed, parents are usually invisible—as if children wander into classrooms all on their own. If you aren’t convinced that early childhood education gives children a big leg up, you can still consider what it would do for their parents. The benefit they would see—particularly for mothers still caught between jobs and families—is irrefutable.